Republican presidential hopeful and Michigan native Mitt Romney claims he's a gearhead. In fact, he claims he can name any 50s or 60s car based on nothing more than a peek at a square foot of one. Now it's time for him to prove he actually can. Lots of presidential candidates claim to love cars — mostly when they're campaigning in Michigan, making a visit to a car plant, or announcing a bailout. And whenever they do — it gets us excited. A car-loving president would really help our petition to re-carve the lower half of Mount Rushmore so it looks like all those presidential pals are tooling around in a convertible Thunderbird. But so often it turns out to be nothing more than yet another false promise from a politician. "I love cars. I grew up totally in love with cars. 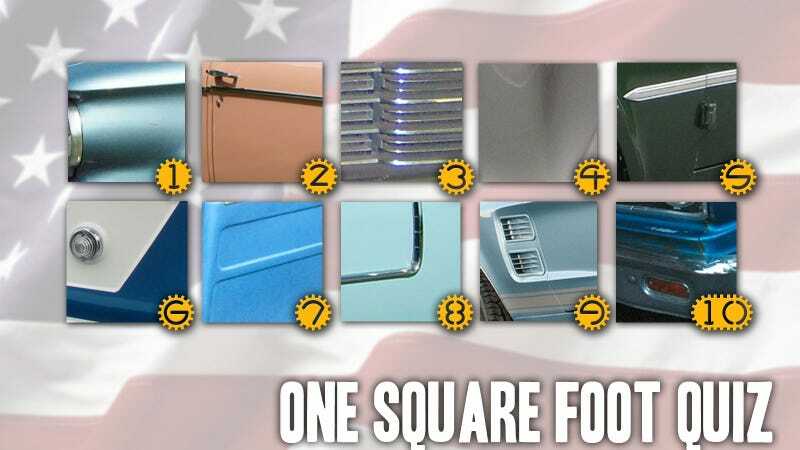 It used to be, in the '50s and '60s, if you showed me one square foot of almost any part of a car, I could tell you what brand it was, the model and so forth. Now, with all the Japanese cars, I'm not quite so good at it, but I still know the American cars pretty well. And, drive a Mustang. I love cars. I love American cars, and long may they rule the world, let me tell you." Now, we just can't take such a bold claim at face value– these guys want to get elected, desperately, so we need to put this to the test. So, Mr.Romney, above you'll find, (roughly) one square foot of ten American cars, all made during what should be your youthful car-loving heyday, the late 50s to late 60s. If you can take the test, and pass, with, say, 7 out of 10, then I think you've earned the official right to our endorsement as an official "Car Guy."